Seven-year-old Sophie Markowitz read a book about Helen Keller and became impressed with what Keller accomplished throughout her life. After realizing she had the Helen Keller National Center for Deaf-Blind Youths and Adults (HKNC) right in her backyard, she decided she wanted to donate to the cause. “I always pass by the center to drop my brothers off at school or camp and I thought it would be a good idea,” said the third grade Daly Elementary School student. 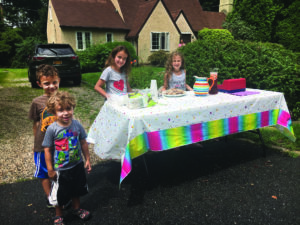 In order to raise funds for the organization, Markowitz opened a cookie and lemonade stand in front of her house. 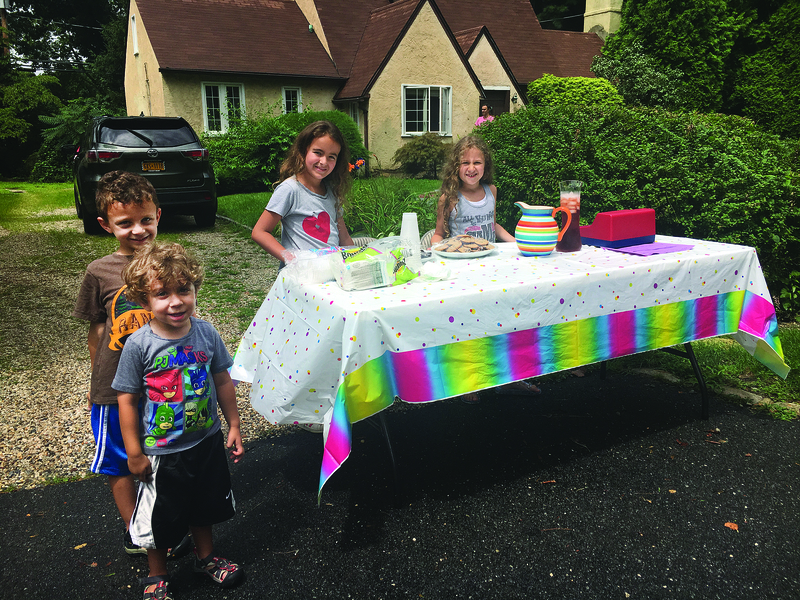 Markowitz raised $100 for the Port Washington-based center with the help of her best friend Anabelle Marshall. Markowitz presented HKNC Executive Director Sue Ruzenski with the funds for the deaf-blind students attending HKNC in Sands Point. At the center, information services coordinator Allison Burrows gave Markowitz a tour, showing her, along with her mother and two brothers, the independent living, creative arts and technology departments. In the technology department, the center gifted Markowitz and her siblings braille displays with their names to take home. 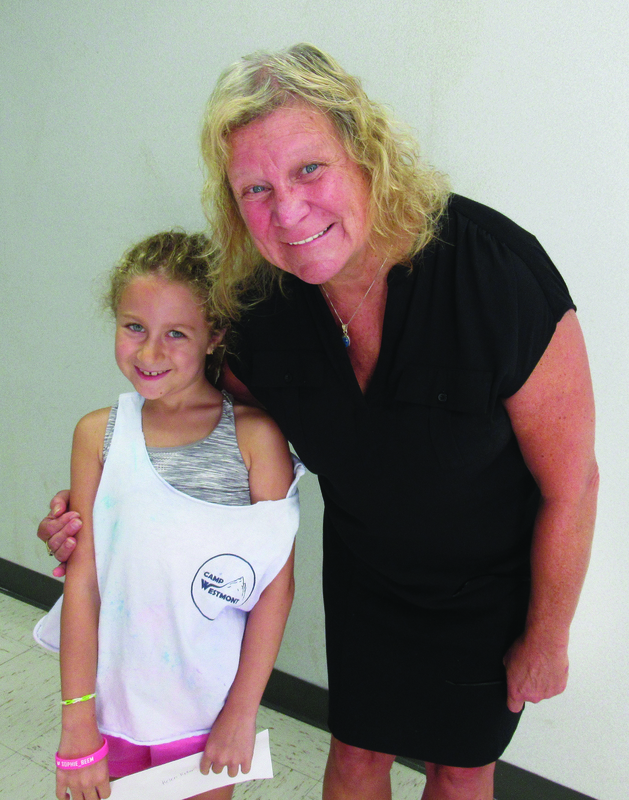 Ruzenski thanked Markowitz and her family with a tour of HKNC and noted that the money raised would be used directly by students for their recreational programs. Markowitz explained she hopes to continue to raise more funds for the center in the future as well as join in the HKNC walk/run in April. “We were really impressed with the foundation, how much the organization does and we felt so good the money was going there,” said Carole. HKNC is the national division of Helen Keller Services which provides training and resources to people age 16 and over who have combined vision and hearing loss. For more information on HKNC, visit www.helenkeller.org/hknc.